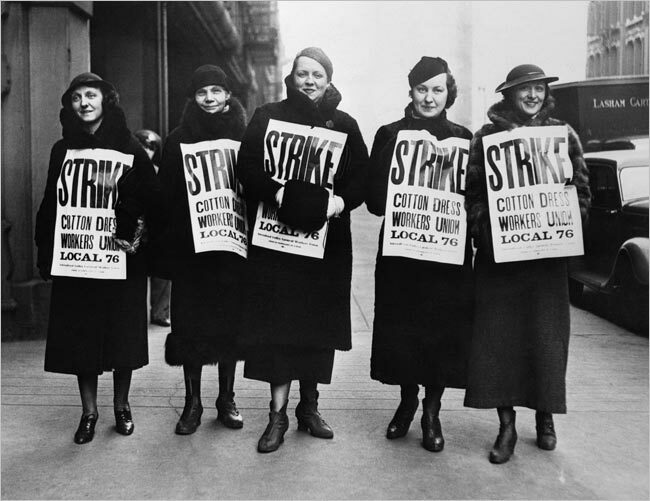 International Ladies Garment Workers Union (ILGWU) strike in Chicago 1935. 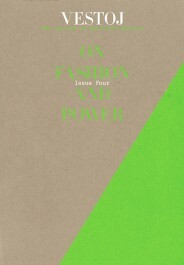 THIS PAPER ADDRESSES THE theme of shame in fashion in the context of fashion’s unsustainability. This can be exemplified by how fashion contributes to environmental degradation, how it has been known to use child labour, and how it systematically relies on overproduction and overconsumption to achieve profit. 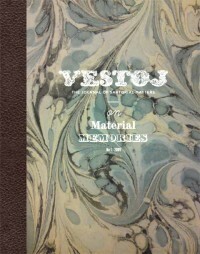 An exhaustive discussion of the complex environmental and social effects of fashion, as well as the range of strategies for better practices that now exists, is outside the scope of this paper.1 It suffices here to say that the last decade has brought tremendous advances in terms of formal frameworks for improvement, practices in the industry, as well as general awareness amongst both industry and public. However, we are still only at the beginning of a fundamental journey of change, where perhaps the biggest challenge – so far mainly untackled – concerns the very culture, mindset or paradigm of fashion. So, yes, there is still reason to feel ashamed. 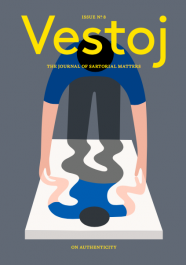 This paper specifically explores the role of shame in procrastinating engagement with the need for more sustainable fashion practices. I will argue that shame constitutes an important barrier to more pervasive changes, alongside more widely recognised obstacles relating to, for example, lack of knowledge, the complexity of the supply chain, limitations of legislation or financial incitements. If shame really plays a part in delaying a response to the dire environmental predicament, it becomes not a matter of just curiosity, but of survival, to understand it, and engage with it. Whereas the quote above suggests a list of options, from my experience the quote also describes a very common process that fashion designers (myself included), and indeed society at large, go through when they encounter the sustainability imperative. Our first instinct when faced with the environmental challenge is often to say “it can’t be true, the scientists got it wrong, and even if it were true, it’s got nothing to do with me”. The news simply implies too big an adjustment to be digestible, and puts into question too much of what we have previously come to depend on and regard as truths. The second part of the process, when we have had a chance to make sense of and accept the facts, and readjust our previous understanding of the world to accommodate them, often involves feelings of guilt and shame. This again is an entirely normal reaction. The integration of new facts with our old worldview also sheds new light on our own practices, showing perhaps ignorance, inadequacy and neglect where there was before skill and knowledge, satisfaction and pride. While this moment of shame appears normal, it constitutes an important watershed, where at best shame turns into action (as in the third option of the quote), or at worst prolonged inertia or even reversal to stage one – denial. How then, can shame become action, and eventually even pride, perhaps the opposite of shame? Let us stay in the moment of shame and find out how we might achieve a shift. 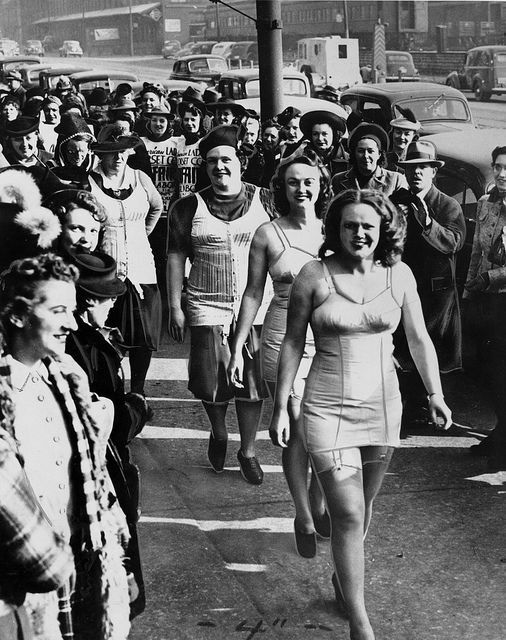 Corset workers of the International Ladies Garment Workers Union strike in 1937. As previously stated, substantial progress has been made over the last decade concerning the pragmatic cleaning up of processes, and the range of expressions of environmentally friendlier fashion has also diversified. Yet, an integration of sustainability concerns at the deeper level of motivations and behaviour in fashion is still lacking. It is revealing and perhaps symptomatic where change has hitherto taken place. The bigger mass market companies have taken on a lead, such as in the development of code of conducts, and the integration of organic cotton, whereas few high fashion companies are known for engagement with sustainability. Improvements are, in the main, still directed at the level of the process and product, substitution of harmful substance, process or material for a less harmful alternative constituting constituting a dominant strategy. In summary, fashion’s engagement with sustainability, although increasingly widespread and noticeable, has not reached its core and system. This is understandable since seriously pursuing such a profound discussion would be so much more frightening. 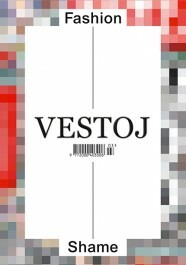 It would address fashion’s speed and scale, thereby placing the business model under scrutiny. However it would be even more frightening to ask if the allure of fashion can survive without material abundance, placing doubt not only at the level of our business, but also on our love. What if fashion is as superficial as they say? Choosing action before shame is therefore potentially deeply coupled with fear. Moreover, while this fear prevents larger changes, changes that are urgent considering the environmental predicament, it also prevents fashion practitioners (here I include very interested users) from fully participating at the core of a remodelling of fashion – potentially a most exciting opportunity. So far I have argued that shame plays a role in blocking engagement with sustainability. Possibly the shame is coupled with fear that fashion would not stand up to scrutiny in the light, that there really is no future for fashion. I also want to propose that yet another reason for shame preventing action is that it to fashion designers is quite a familiar, and even comfortable state, to the point where perhaps shame even plays an intrinsic role in the fashion construct. 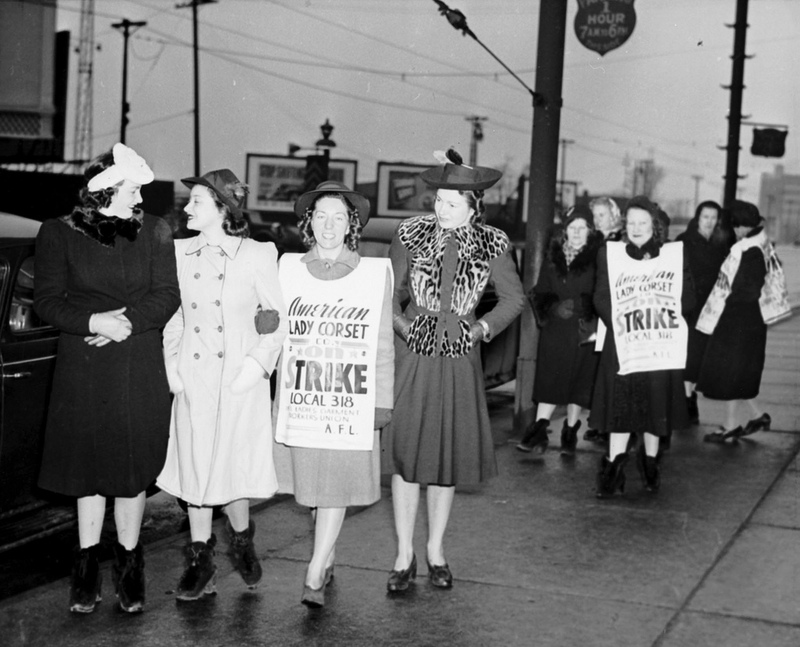 International Ladies Garment Workers Union on strike, circa 1940. Shame’s role in fashion seems to take place at two levels: shame ascribed to fashion by the world outside, and shame created by fashion internally. There are no doubt enough unsustainable practices to warrant feelings of shame in both fashion producer and user. However, shame in fashion preceded the dire environmental predicament, and it certainly preceded the UN Convention of the Rights of the Child. Endless pieces of literature and countless reports have been dedicated to the shaming of fashion companies: for shoddy environmental practices, promoting unrealistic body ideals, or just plain indulgence. 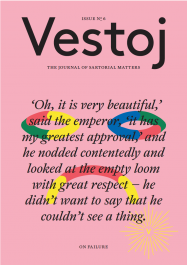 From the very onset of his or her chosen path, the fashion practitioner meets a persistent lack of being taking seriously from the outside world, with hints or direct accusations of frivolity. 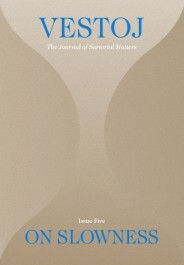 Considering this, it is not strange that the fashion practitioner becomes, if not directly conditioned to shame, at least conditioned to accept not being popular and to devise strategies where she compartmentalises her life so that her otherwise sound values are not in direct conflict with her love of fashion. Choosing fashion as a profession or major interest seems to be accompanied by accepting a certain degree of, if not shame, at least the muting of an ongoing conflict. In my study, an interesting theme of a high status/low status job came through, where on the one hand professionals were very proud of their fashion identity and celebrated for their creativity and perfect fashion pitch, and on the other expressed uncertainty of the value of their work. Indeed, from my personal experience in fashion, and according to my study, fashion designers and others internal to the industry even play a part in perpetuating a shallow ‘brand’ of fashion by, for example, semi-jocular use of mannerisms (see e.g. shrieks of ‘daahhling!’) and describing trend research as shopping (in a baby voice).6 The high level of tacit knowledge in fashion practice, and lack of widespread formal framework for, for example, fashion design methodology, arguably contributes to an experience of powerlessness and even shame. 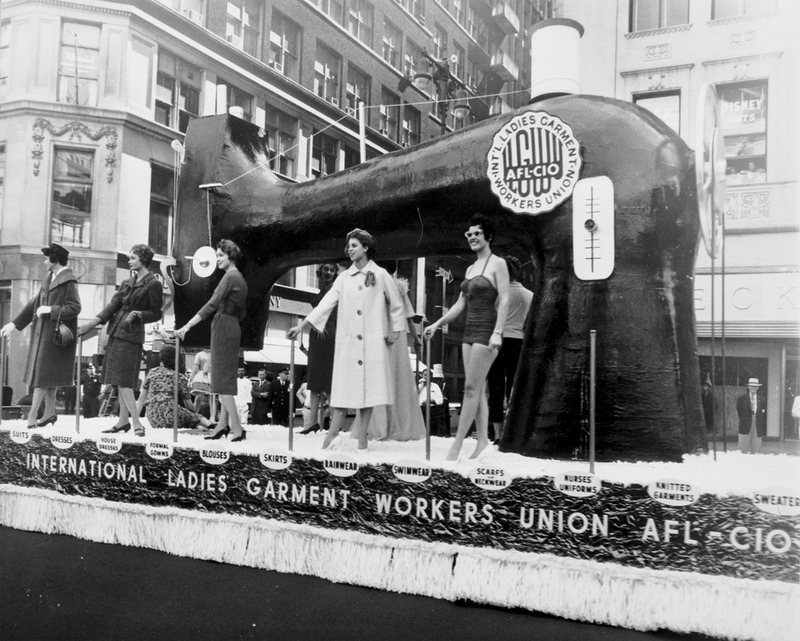 Women model clothing for a International Ladies Garment Workers Union parade float, circa 1955. Yet, shame also plays an intrinsic role in fashion as a facet of its construction as enfant terrible. Throughout its history fashion has thrived and depended upon distancing itself from, directly rejecting and subverting wholesome values and the establishment. (See e.g. Heroin Chic, Vivienne Westwood’s body of work, sexualised teenage fashion, distressed jeans…) Whether it is its very ‘raison d’être’ or a prime source of innovation, fashion most productively keeps company with the deviants instead of the model citizens. Finally, I want to argue that society needs fashion as a zone of shame. It is a territory both convenient and delicious to single out to ‘love to hate.’ There are definitely other areas that are equally bad or even worse, but fashion is of course far sexier than, for example, the oil industry. At a personal level we take some delight in behaving badly in this so-configured zone of our lives. Fashion is where otherwise rational and good members of society can allow themselves to ‘leak,’ and conduct a series of follies. Perhaps it would be important to acknowledge that such a freezone in our otherwise regulated lives fulfils an important role. We need fashion as an area to be bad, either to personally engage in, through for example strictly unnecessary shopping, or to be shocked by and indulge in moral self-righteousness, and in both cases we feel better for it. What would a fully sanitised fashion system be like? Would it be devoid of elitism, lookism, environmental destruction and the capriciousness of one day abhorring fur and the next flaunting it? Would it be devoid of experimentation? Fashion should never be tame. It should provoke, it should strive for spectacular innovation and expression: the fashion moment should hold magic. Fashion is risk, and should be. It should allow us untamed identity explorations, and it should allow endlessly new cultural juxtapositions. 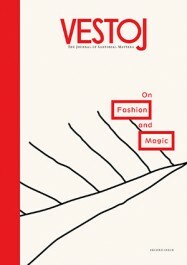 Fashion as an area is vast, and its definitions muddy, encompassing everything from high-powered catwalk shows to an individual conducting style experiments in front of a mirror, and from conceptual proposals to shopping at a value chain. We can hope that the work of building theory from within fashion and from fashion practice, which is only in its early days, will help to clarify to ourselves, and to the outside world some very complex emotions in and characteristics of fashion. Such an unpicking may be important in assigning shame its right place, size and colour, and defining what types of risk sincerely have a place in fashion, and which have not. Dr Mathilda Tham is a researcher and lecturer in sustainability at Goldsmiths University in London and a professor at Linnaeus University. 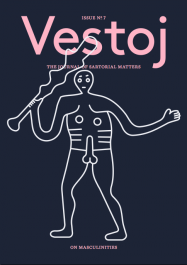 This article was originally published in Vestoj On Fashion and Shame. Fashion wares for sale in a street market are widely considered to be the final stage in a product-cycle bracket. A closed system based on a hierarchy; from inception at a high design level, to obliteration, the ‘trickle-down’ effect has a beginning, middle and end. Emerging from fashion photography and styling that was intended as more realistic portrayal of fashion, the androgynous waif was a subversive take on mainstream fashion. But the look had broader implications, evolving from its original incarnation as documentary-style fashion photography into the minimalist grunge style adopted by designers in the latter years of the decade, such as Jil Sander, Helmut Lang and Josephus Thimister.